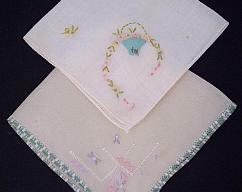 This is a cute little hanky. 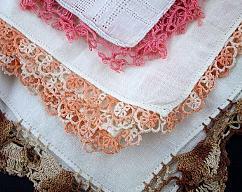 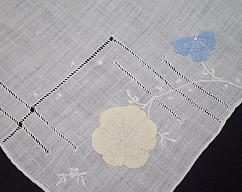 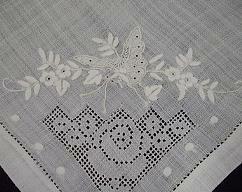 It's 10" square, white, with satin stitched flowers that look sort of like poppies in one corner. 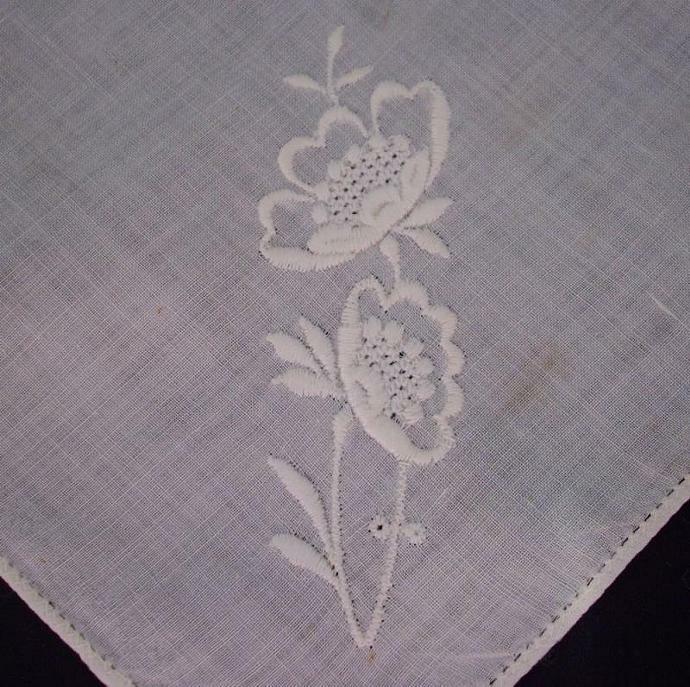 There's one little stain next to the flowers, otherwise it's in pretty nice condition.